What, in your opinion, is the most important theme in contemporary theology? What are you working on at present? What do you consider to be the most interesting inheritance of Russian religious thought? What do you think about the state of Orthodox theological education today, its problems and prospects? We addressed these questions to four experts. Our questions were answered by Metropolitan Kallistos (Ware), Professor of Theology at the University of Oxford; Archpriest John Behr, the Dean of St Vladimir’s Orthodox Theological Seminary; Priest Georgy Kochetkov, the Rector of St Philaret’s Christian Orthodox Institute; Petros Vassiliadis, Emeritus Professor at the School of Theology, Aristotle University of Thessaloniki, and President of the World Conference of Associations of Theological Institutions (WOCATI). 1. What, in your opinion, is the most important theme in contemporary theology? Metropolitan Kallistos (Ware): In my view, the most important theological issue today is what is man, how do we understand the human person. That is particularly important both in our own Orthodox theology and in our discussions with other Christians. During the 20th century, the most important question, perhaps, for us, the Orthodox, was what is the Church. And already that question had been posed in the 19th century by Alexey Homyakov. But I would say now that, perhaps, the centre for discussion has moved from ecclesiology to anthropology. And, clearly, the question of what is the human person involves very many other questions. For example, what do we mean when we say that the human person is the image and likeness of God? What does this mean for our responsibility towards the natural world, for our ecological human duties? But it involves clearly a deeper understanding of our interhuman relations, not just with nature but with one another. And so the understanding of the human person is very closely related to the question of marriage and family. Today in Western society marriage and family are under attack. We face many problems. And our answer must be on the deep level of our understanding of the human person as essentially a person in relationship with others. We are not human alone; we are human in regard to others. Fr John Behr: I think the most important theological issue today is twofold. On the one hand, to understand what theology is. I think most people think theology is talking about God. But God is not an object for us to talk about, like a stone, a bush, a tree. It’s not like that. So how are we talking when we are doing theology? What is the relationship between Scripture exegesis and theological affirmation? And there is coherence in that, and if you go back to the earliest Fathers, the proclamation of Gospel, at the very beginning of the discourse of Christian theology, you can see how that language works. And I think we have to relearn that. So it is the methodological point. To be human is to live in the way Christ has showed us, which it is to lay down your life for your neighbour, for the Gospel, for the Cross. This is not how we come into being. We come into being egocentric, preserving our lives for ourselves. And as Christ points out, if you’re trying to preserve your life – what will happen? – you will die, no matter how secure you make yourself, no matter how healthily you eat, no matter how much you exercise, no matter how you do all of this, you will still die. But if you die to yourself, to live for others, the life you are beginning to live now cannot be touched by death, because you have entered into it through death. And the life you begin to live for another is entered into through dying to yourself. So there are two things. Firstly, methodology – what are we doing when we are doing theology? How does Scripture, systematic theology, patristic history – how do they all fit together as a singular discipline called theology? And then, in fact, when you start to learn the coherence of theology as theology, you see that it is focused on the person of Christ who shows what it is to be God when He dies as a human being, trampling down death by death, and shows us what it is to be human. And to be human is the biggest challenge of our age. 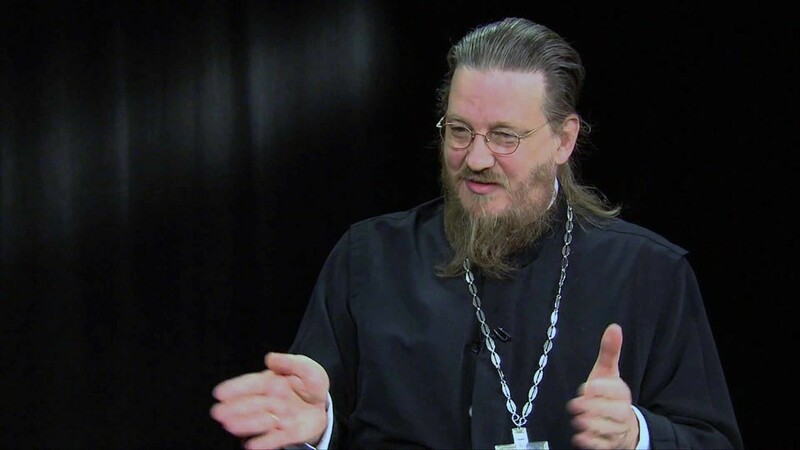 Fr Georgy Kochetkov: I believe that contemporary theology is in need of a new systematization, and of new forms by which it can be embodied in the real life of the church and of each Christian. In this regard, it is very important, on the one hand, to work on dogmatic questions – particularly on our teaching about our Heavenly Father (that is, Paterology), and on the other hand, on the doctrine of the Person of Christ (that is, the Anthropology of Christ), as well as Anthropology in general – our Christian view of man. Otherwise it is simply impossible to preach Christianity nowadays. People are less interested in issues of scholasticism, in the Holy Fathers, even in the Holy Scripture, and this must be taken into account. 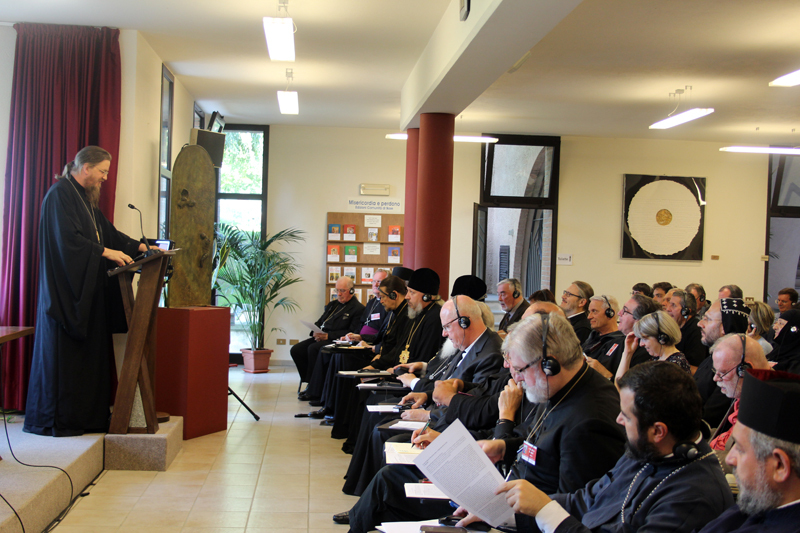 Petros Vassiliadis: The most important issue in Orthodox theological education is to rediscover the ethical dimension of Christian faith. I am saying this because for many centuries the Christological emphasis, which went beyond the traditional Trinitarian one, of course, with the pneumatological dimension, and the theological emphasis on the doctrine, at the expense of Christian ethics, deprived the understanding of our Orthodox conscience, and, I would say also, of Christian consciousness of the importance of our behaviour towards our neighbour, towards the others, towards the community in general. This is because there was, especially in the 2nd millennium, an over-emphasis on the differences between one denomination and the other, between East and West. And in this defensive attitude, the issues that were developed were rather the antithesis between the various spiritualities, the various traditions. That’s why the dialogue is very important for the future of theological education. Thus, we should realize we should not concentrate on the exclusiveness of our faith, the Orthodox faith, which is for us given, which is true. But to overemphasize this exclusiveness is almost to exclude the others. This was not the primary dimension of theological education in the previous era, at its origins. I would say ‘at its origins’ because, originally, theological education was the catechesis. The catechetical school of Alexandria, for instance, was the first attempt to move independently from the Eucharistic communion. The Eucharistic community, in fact, put the emphasis on the awareness of the whole people of God, not only of leaders and priests, theologians. So, in order to defend Christianity against the pagan religion, which was the first enemy, they had to develop the so-called philosophical aspect, and it was developed with theological, mainly doctrinal issues. And this made us have forgotten the primary ethical dimension, which was the Sermon on the Mount. The Sermon on the Mount originally was about behavior, attitude: how we are supposed to behave in regard to our neighbour. This was gradually forgotten or left aside, because in the Greek mentality philosophy was the primary issue. Thus, the emphasis was on the doctrinal issue, in defense of the faith, to answer the questions of what we believe, what is our philosophical understanding of our faith. Consequently, there was lack of attention to our practice of faith. In my view, this situation is observed not only in Orthodox education but in all Christian education in general. Being now the president of the World Conference of Associations of Theological Institutions (WOCATI), I am trying to promote this kind of awareness. This is important because we meet many problems in the Third World, even in relation to the European economic crisis. All these are ethical issues and not just non-theological ones. We do not say it is not theology just because it deals with economy. It is very important from the theological perspective. So we have to face these problems. Otherwise, we will lose the game. We must be very grateful to the new Pope who brought again an understanding of the church not as a fortress, which we have to defend. Pope Francis said we have to go back to the street, to the missionary understanding of the church. In my view, this is in accord with the Orthodox tradition. Today, the anthropological dimension of theology becomes very important. Metropolitan Kallistos said we have spent the lifetime of a whole generation, not to say the whole century, on Christology, Pneumatology, and Ecclesiology. It is time for us to return to Anthropology. Anthropology means we must understand what the human nature is and what all these problems that we face are: the place of women, homosexuality etc. We do not have an answer. We are trying to follow what secular scientists say. So we have to develop or to go back to the anthropological foundation of Christian faith. 2. What are you working on at present? Metropolitan Kallistos (Ware): My first task at the moment is to complete with God’s help the English translation of the Philokalia, of the ‘Dobrotolyubie’. We have published four volumes. My colleagues Gerald Palmer and Philip Sherrard have both passed on to the next world. I alone am left and I must use the material which they prepared in order to have the fifth volume ready for publication. So that is something that has occupied my life – a good deal of translation of the ‘Philokalia’ – over the last twenty years. And I hope I shall live to complete that. But for my own writing, I would like to gather together particularly things that I have written about the doctrine of the human person, which, as I said, I consider to be the primary task that we have for the future. And I have also done some work on the debates in the 12th century in Constantinople on the nature of the Holy Eucharist. In what sense the Divine Liturgy is a sacrifice? What do we mean by applying this notion of sacrifice to the celebration of communion? Well, that is quite enough to keep me occupied. I spent so much time in the 2nd century! I am already living in the 2nd century. Then Oxford asked me to write a book on Irenaeus. It took me back to Polycarp the Teacher. So when I’m finished with Origen, I am going to do, together with a former student of mine, a new edition and a new translation of the complete work of Irenaeus of Lyon – ‘Against Heresies,’ ‘The Demonstration of the Apostolic Preaching’. That would take, maybe, ten years. 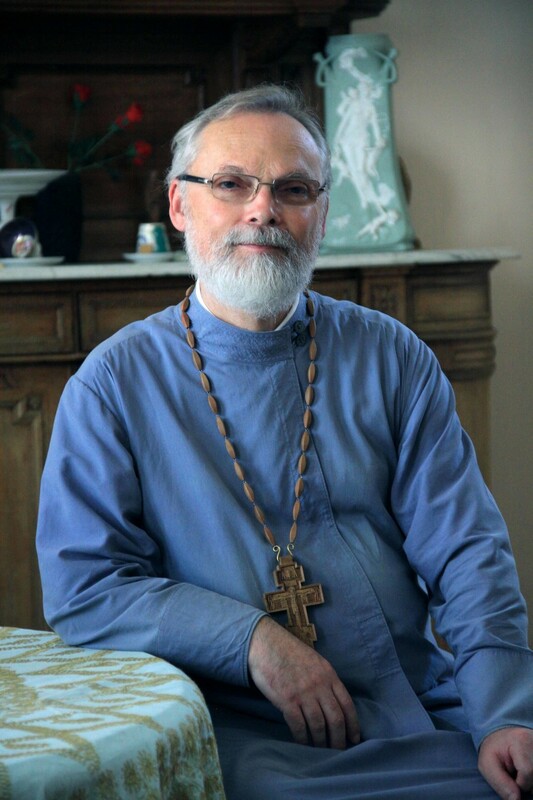 Fr Georgy Kochetkov: In recent years, I have been fully committed to studying Christian Anthropology, theological and philosophical Anthropology. In my view, this is an area of spiritual knowledge that is absolutely necessary to the fullness of Christian preaching. Our Christian understanding of Anthropology is still underdeveloped; moreover, it is quite fragmented and contradictory. In it there are elements of teachings from Antiquity which are easily intertwined with Old Testament teachings and sometimes even Gnostic teachings, into which modern psychology, pedagogy and sociology can easily penetrate. Here it is difficult to locate our own, Christian approach, and to develop a specifically Christian view of the human person and of mankind, and, consequently, on Christian history and culture. 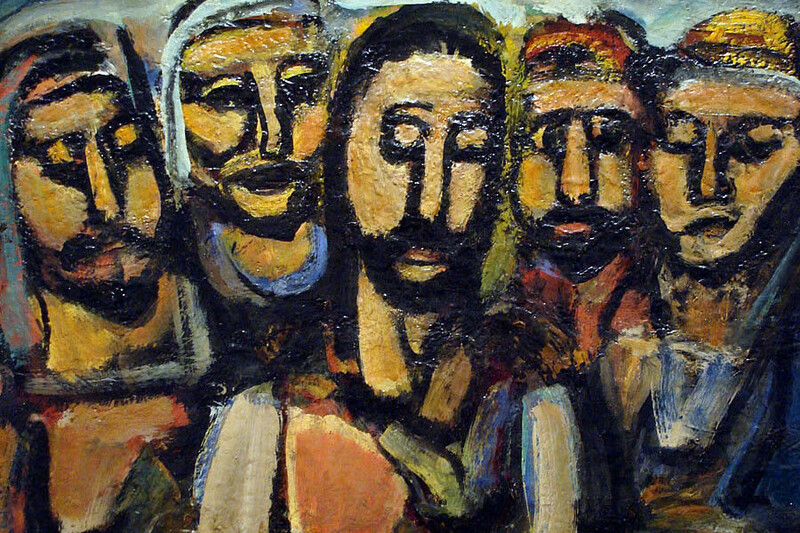 The quintessence of all Christian Anthropology is, of course, the doctrine of the human person, if only we make a clear distinction between the notions of the human person and of hypostasis as the ontological ‘face’ of the human being. The works of some theologians of the 20th century, especially of Russians, such as Vladimir Nikolayevich Lossky, have made it commonly-accepted to equate the notions of ontological ‘face’ (лицо) and ‘the human person’ (личность). In my opinion, however, this is wrong, and can be done only in the case of simplified schemes and only when anthropological questions are secondary in a given context. To understand what a mystery the human being is, to see in this mystery that which is not yet known, to understand why the Holy Fathers after the 2nd–3rd centuries virtually ceased to work on anthropological issues and on understanding man – all this is very important. After all, this slowdown later led to general lack of faith in man and lack of trust in him as neighbour. But we know very well that the main commandment given to us by Christ is to love God and neighbour, and to view our neighbour as a living person whom we can look straight in the eye and not just as one man in a crowd, or as a member of society. It is very important that once again we all recall that Christianity is faith in God and in man. This must be included in our current set of foundations for Christian preaching. It is of great importance that we ‘tone up’ today’s man – that we communicate to every believer in Christ that lack of faith in man is not a realistic possibility, and nor is the substantiation of such lack of trust in him. 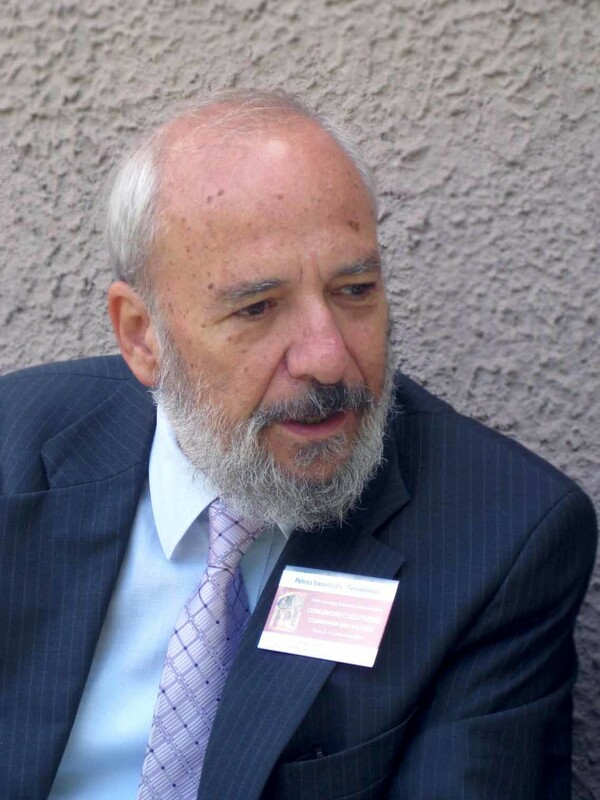 Petros Vassiliadis: In the past four-five years, I was a member of the WCC program on Poverty-Wealth-Ecology (PWE). In fact, economy and ecology are very interrelated aspects. I am trying to discover the theological background of these neglected areas because, as I said, our emphasis for so many centuries has been on the theoretical level. We have forgotten the importance of the ethical dimension, due to which Christianity was developing in the first two centuries, because Christians looked after orphans and needy people. This made the difference with the pagan world, not because they developed theology, which was developed later when Christianity was inside the Greek-Roman mentality, and the great theologians had to argue with great philosophers of that age. This was quite a bit later, after the 3rd century. The first reason why Christians were listened to was because of the importance of their ‘meria éleos’ (‘great mercy’). This is the consequence of the great mercy that God shown to His people. This is something discovered even by secular historians: Christianity conquered the Roman Empire not because of its ideas but, originally, because of the ethical response to the needs of their age. 3. What do you consider to be the most interesting inheritance of Russian religious thought? Metropolitan Kallistos (Ware): The Russian theologians who influenced me, especially my early years as an Orthodox, were both in the emigration – George Florovsky and Vladimir Lossky. And, particularly, I valued the emphasis in Lossky that all true theology is mystical theology, that there is, as I have already been saying, an essential link between theology and prayer, between dogma and liturgy. I found this approach to theology gave meaning to my work. But then, secondly, I value very much the revival of interest in St. Gregory Palamas. And here again I look to a theologian of the emigration, Russian, Fr. John Meyendorf. I believe that our present task is to develop and apply what we find in their writings, to apply it particularly to our understanding of human personhood. I also have been influenced and helped by Greek theologians – above all, by Metropolitan John Zizioulas of Pergamon. I value the connection that he makes between our understanding of the Church and the celebration of the Divine Liturgy, that the Church is the Eucharistic organism, that the Church becomes truly itself only when we celebrate the Holy Mysteries, that the Eucharist is the life-giving source of everything else that we do in our church life. So these are the theological themes that, I believe, are of primary importance in our Orthodox witness today. 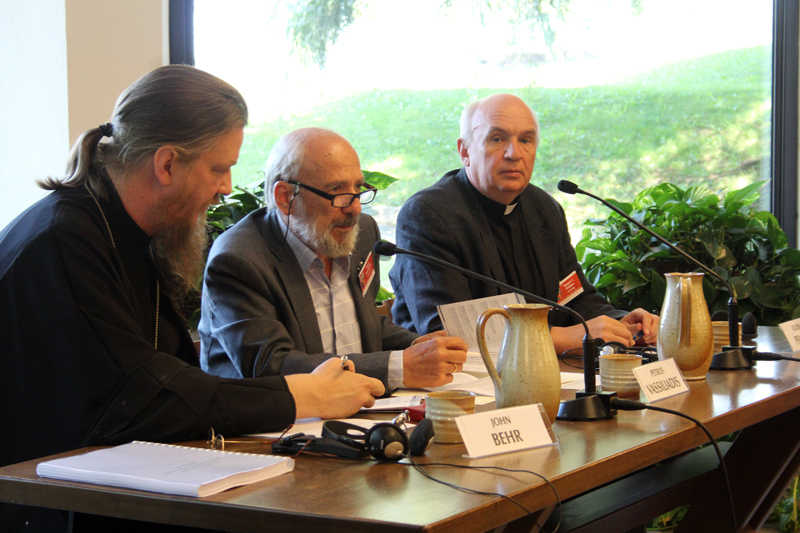 Fr John Behr: I grew up with the 20th century Russian theology. My family is Russian. My father was a priest; my great-grandfather was sent to London in 1926 by Metropolitan Evlogius to be a priest there. So, I grew up reading Florovsky, Lossky, Meyendorff, Berdyayev (a lot of Berdyayev is translated). And when Bulgakov and Florensky were translated, I’ve read all of them when I was a teenager. I call them Fathers. And the best thing that happened to me is the change of centuries, from the 20th to the 21st. Because it meant that in January of 2000 I could say: ‘This is how they did it in the last century.’ And I don’t mean to be disrespectful. I mean that looking back across the century you can see them as historic figures in a way you could not do it at the time. Yes, they were Church Teachers but they were coming out of the emigration, they were in the West. They were caught in lots of struggles, lots of problems. They were trying to go back to Fathers, to find their faith again, all these kinds of things. Yes, they were all going back to the Fathers, especially Florovsky: ‘Going back to the Fathers.’ But now we can look back across the century and appreciate them as historical figures. There is a distance of a century now between us. And so we can appreciate them as historical figures and understand their importance even more now than a century ago. But I would like to think that in my own going back to Fathers and continuing to do what they did – even if what I am doing now is different from what they did – I would not speak about the neo-Patristic synthesis because the synthesis reduces everything to the lowest common denominator. I prefer to speak of symphony, to hear the different voices of the Fathers at any moment, whether it be the 2nd or any other century. Saint Gregory of Nazianzus and Saint Basil did not speak the same voice. These are different voices. And there are different voices through time. So, the point of reading the Fathers is not to synthesize all their knowledge into one definitive solution but it is like going back to the earlier scores of the symphony. You have to learn their parts in order that you are harmonized to the melody to sing your part today. So I put it in a different way than they did. Fr Georgy Kochetkov: In the context of what I have just said, of course we must, in the first place, take a fresh look at the writings of Fr Sergius Bulgakov and Nikolay Berdyayev. Berdyayev’s understanding of anthropology is unique and exceeds all those in the 20th century who wrote, spoke or thought about the human being and humanness – about humanity – relating these to the revelation of the person, fellowship in community, service, brotherhood and Christian community life – that is, to various new forms of relationship that measure up to the gift of Christian love in man and in human community. I think that neither Berdyayev nor Bulgakov have yet been properly read in the Orthodox Church, and not only in our Russian church, which is understandable from a historical perspective, but also in other Orthodox churches and even among the heirs of the first Russian emigration. Unfortunately, even in such remarkable schools as Saint-Serge (St Sergius Orthodox Institute in Paris), at this point there are no specialists in Bulgakov and Berdyayev. Other great Russian thinkers, scholars, theologians, historians – not to mention philosophical anthropologists, such as Vysheslavtsev or Pozov, or Archimandrite Cyprian (Kern) – are good only insofar as they have the key point, which is covered by Berdyayev and to some extent by Fr Sergius Bulgakov. So I heartily wish to all those who are interested in issues of Christian anthropology to thoroughly read Berdyayev and Bulgakov, without getting mired down in shortcomings of style or repetition, nor in Berdyayev’s tendency to constantly revise the same issues throughout his life, moving forward very slowly. In doing this he paves the way for a new spirituality that would comply with the most demanding tasks of Christian preaching in today’s world. 4. What do you think about the state of Orthodox theological education today, its problems and prospects? 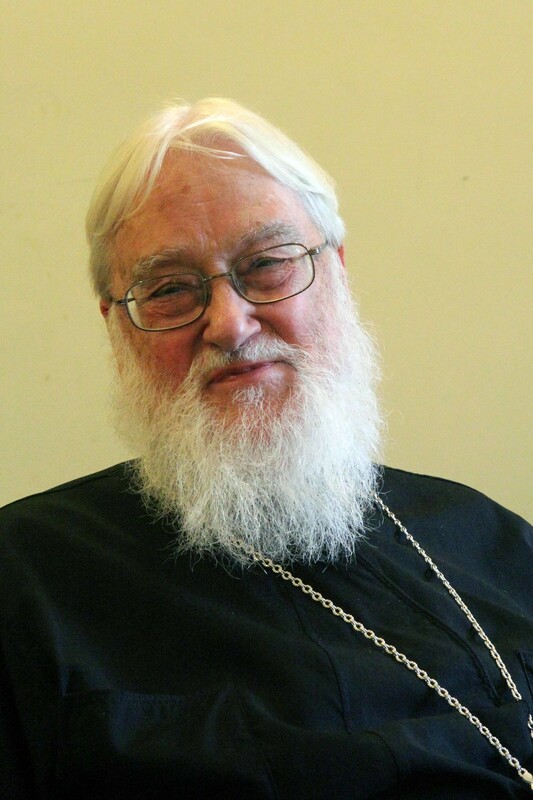 Metropolitan Kallistos (Ware): I have not taught in Orthodox institutions, I have taught in the University of Oxford; and some of my pupils were Orthodox but most of my pupils were supposed to be non-Orthodox. So my own work as a teacher was more about bearing the witness of the Orthodoxy to the non-Orthodox. As for Orthodox theological education, I believe it should always be based on the Holy Fathers, along with the Scripture. So our teaching should be patristic. But I believe that our Orthodox teaching needs to be, above all, liturgical, that we should base our teaching on the meaning and the experience of the Divine Liturgy. It should not be merely an abstract or philosophical teaching that we give to our pupils but we should show how the doctrines of our Christian faith are expressed in prayer and worship. We should be always emphasizing the link between theology and prayer. And, above all, that means both the prayer of the Divine Liturgy, communal prayer, and, at the same time, personal prayer, inner prayer. Fr John Behr: Oh, I would say going back to the first question. I really want people to understand what theology is. Not just to learn about Scripture, about liturgy, about systematic theology, about whatever but to learn how it actually goes together as theology and the claim it has upon us. It is confession about God but it is also confession about ourselves what it is to be human. That is what I want to do very much. And then the other thing I have in my mind: I always tell to my students: the problems of the Church today are not your problems. These are the bishops’ problems. They are the ones who have got to answer and sort it out. The problems of the students would be ones of thirty or forty years’ time. I’ve got to prepare students for what challenges they will have in twenty, thirty, forty years’ time. Not today but then. That is much more difficult. I just have to make sure that their grounding is solid. In other words, I am not going to teach them the answers to today’s problems. I am not going to presume to give the answers. That’s for the bishops. I am going to make sure that they understand – as best as I can teach them – what theology is and how it works, how it makes demands on them. So that when they enter into their ministry, which takes a good ten years to really develop, they will be ready to find the answers to the problems they have themselves. They will be ready to think through the challenge, and find the answers. Teaching students is not a matter of giving them the answers. It is a matter of getting them to think, to teach them how to think so that whatever problems would emerge, you have the resources to try and find an answer. It is confession about God but also a confession about ourselves and how it all goes together. It is not that here we do liturgics, here we do systematic theology, here we do Scriptures but how it all goes together. 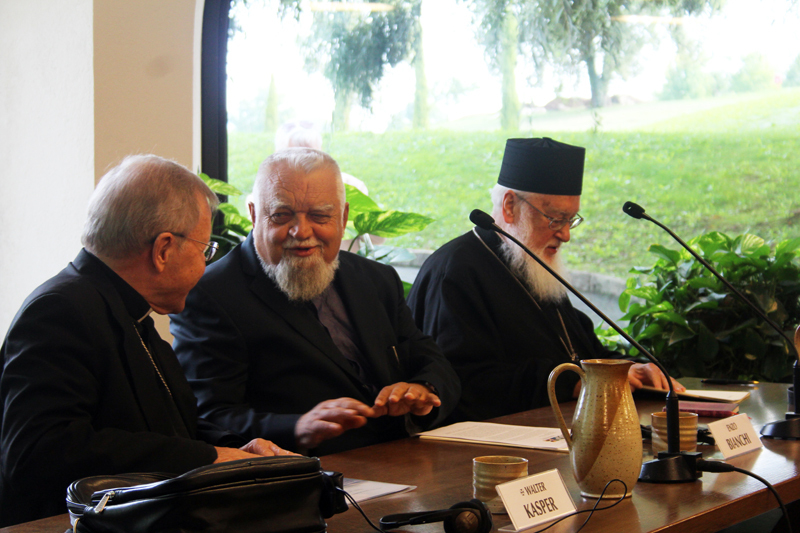 Fr Georgy Kochetkov: Contemporary Orthodox theological education finds itself in deepest crisis. I do not, at this point, perceive that there are any major theologians in Orthodox churches and among Orthodox scholars. There are many experts on the past – there are good scholars. But to be an expert or a scholar is not the same as being a theologian, philosopher, or anthropologist. We need to make some special effort and pray for the revival of a fearless and creative attitude to the Holy Tradition and Holy Scripture of the church. We need new approaches to theological education. I hope that these will be found, and it is to this hope that I attach the best prospects for Orthodox education. Because if this does not happen, if we only turn back but do not go forward and upward, renewed in the Holy Spirit – if we do not strike a new spark of the Spirit in our hearts, then we will lose what we have. But we are in urgent need of good theological education in order to revive our church, our people and each individual person. We need to know how to speak today’s language to today’s people. We have to comprehend today’s problems with our hearts and our minds, overcoming them through unity of spirit and relating them back to traditional Orthodox teaching. And some parts of this traditional teaching are going to have to be understood anew, more profoundly – in a more complete way. Otherwise we will not be able to justify the effort necessary each time we begin to speak of the revival of genuine theological Christian education. Petros Vassiliadis: The difficulties are caused by the fact that all theological institutions and faculties, even those attached to state universities, were structured according to Aristotelian logic, trying to study the theoretical aspect of Theology, Church History, Patristics. Now this is a bit obsolete. We also have to develop – and it is quite difficult to do – the behavioral aspect in education. We should educate our students intellectually but also we need something similar to the education in monasteries to educate the faithful. How can we do this? We have to develop other dimensions in addition to the educational principles that we give to students in Patrology and Biblical Theology. I am sure that some initiatives undertaken by non-academic institutions also pay attention not only to education but also to making people better human beings. This comes to the fore, though knowledge and critical approach are still very important. The ultimate goal should be that of ‘metanoia’ – of changing the students’ minds, of making them better and more profound in theological issues as well as in their faith. They must become better believers – not only good systematic theologians or biblical scholars. This is important, and the ultimate goal should be in this direction. Theological education should be centered on the community. And the community always works when people gather together to become a glimpse, an image of the ideal, eschatological Kingdom. Therefore, all spheres of theological education should be related to the liturgical understanding Theology. ‘Liturgical’ does not mean just practical or historical. Liturgical theology and liturgical renewal are important in order to rediscover the real essence of the church. What is the church? Is it just a ritual tradition we have? No, there is something behind it and we have to discover this. The liturgical dimension is to behave as a community, caring for the other, having an inclusive attitude towards others, not excluding even non-believers. You cannot exclude them, you must be ecumenical in this, I would say, cosmic dimension. Traditional theological schools have no courses in Ecology. But Ecology today is primary. Even Catholic and Western Christians in general realize that we have to dedicate a month of prayer to the ecological issues (September is now a period of prayer for this all over the Christian world). So this is a good step. 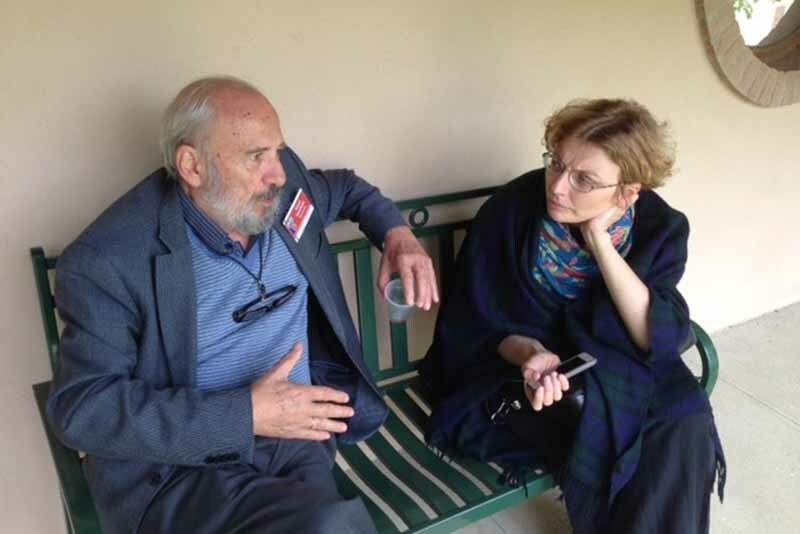 We wish to express gratitude to Fr Pavel Bibin, and to Zoya Dashevskaya, Dean of SFI’s School of Theology, for their help in preparing this publication and for representing our Institute and the Transfiguration Brotherhood at the international theology conference in Bose, where they interviewed its participants. St Philaret`s Christian Orthodox Institute (SFI) is a non-government theology school. Founder: 'Sretenie', regional non-government organisation for the promotion of personal spiritual development. Rector: Fr Georgy Kochetkov. 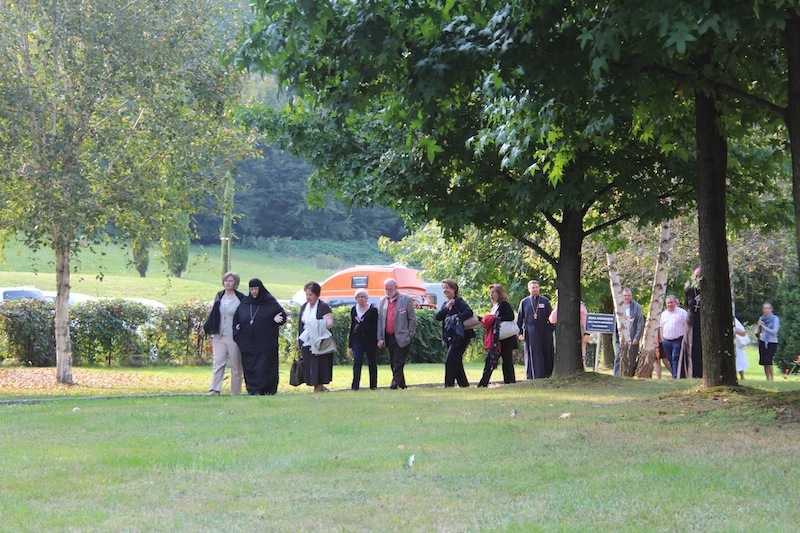 The Institute comprises the School of Theology and the School of Religious Studies. The Institute also offers a two-year pre-Bachelor programme in theology (Theology College). SFI offers a Bachelor’s degree in theology along with foundation and advanced professional training programmes in Theology, Religious Studies and the Foundations of Orthodox Culture.